May 16, 2011 - Charles sends new info on Antun Suhor. I had a short trial period on ancestry.com and found a curious page--a census page of La, or the U.S., maybe. It listed Antun or maybe it was Anthony Suhor, born December 1862 and gave his age as 37, which would be a census of 1899 or 2000. So far, so good. New stuff-- the year of immigration was given as 1880. That would have made him 18 years old when he immigrated--a few years after the story I had heard (14 years old). I'm wondering if he might have landed in 1880 in California, to stay with the Splivalo's, his mother's famous sailing family and get his start as a seaman there. I don't know if I ever sent you the unravelling of what had been the mystery of Antun's connections with the Splivalos of Croatia and California and the refuting of the legend of a famous trip by Antun across the Atlantic. I've pasted the story below. I wrote it up a year of two ago as part of an article about Antun, hoping to publish it in a historical or popular journal (no luck with that). You know the rest of the story, but do review what's below to get the backdrop for what was probably a California segment--at one time another--of Antun's life. I can't re-trace the online source but I'm hoping that someone with better internet search skills can do so, and maybe also establish whether Antun/Anthony was ever in California. Also, a look at old New Orleans City Directories at the library might give the earliest date when he had a N.O. address. Is this something that you, or another of the Suhor clan, might undertake? Man, this tracing of Antun's life has been quite a trip. It seems that the "mystery years" that remain are his youth in Nakovana and his early career before he became a bar pilot. I can't re-trace the online source but I'm hoping that someone with better internet search skills can do so, and maybe also establish whether Antun/Anthony was ever in California. Also, a look at old New Orleans City Directories at the library might give the earliest date when he had a N.O. address. Is this something that you, or another of the Suhor clan, might undertake? I think that Gerry Roth has an interest in this, but when I called and left a message, he didn't get back to me. 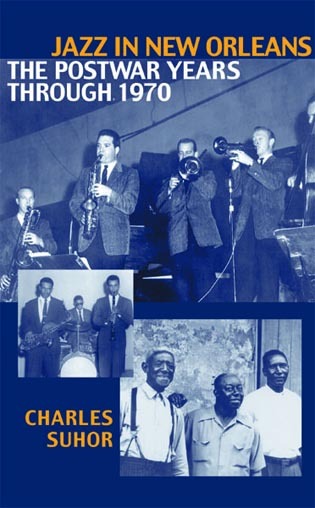 Charles Suhor is an authority on jazz music.